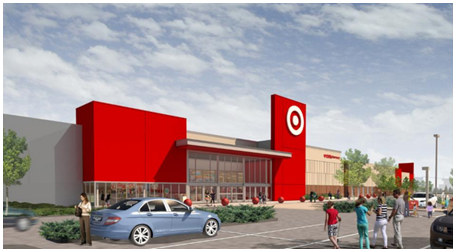 ​​SPRING - Target Corp. is opening a new location in March 2017 and will anchor a Grand Parkway-adjacent retail power center, a rep for the national retail chain confirmed to the Houston Business Journal. It will be at 6766 N. Grand Parkway W. in the Grand Parkway Marketplace, a 400,000-sf retail center at the intersection of Spring Stuebner and Kuykendahl roads. New York-based Kimco Realty Corp., who is developing the 64-acre center, sold Target 9.2 acres of land in the development. The center will feature the 126,000-sf Target, as well as six to eight national or regional junior anchors, all of which are at least verbally committed, Rob Nadler a president at Kimco said. The Grand Parkway Marketplace will also include a "restaurant village" of sorts, which will house four to six restaurants around a wet detention pond with fountains and a boardwalk area.